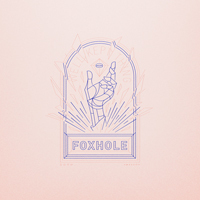 Formed around the turn of the century, Foxhole has released three proper albums. Their full-length debut, 2004’s We The Wintering Tree, (Selah Records; reissued in 2008 on Burnt Toast Vinyl) would go on to acclaim from post-rock and experimental publications as one of the best albums released that year, and tracks from it can still be heard behind television shows, skateboard videos, and NPR segments. The year 2006 brought Push/Pull (Burnt Toast Vinyl), a five-track album inspired by a friend lost at sea. Push/Pull saw a tighter focus, with emphasis on composition and a rich sonic range, and the band toured to support the album off and on for the next couple years. On Sept 28th, 2018, Foxhole will release their new LP — the culmination of more than a decade of writing, recording, revising and waiting. Well Kept Thing, indeed.